When data centre superpower Next Generation Data (NGD) began the 100,000 square foot, ground floor expansion of its high security data centre in Newport, they relied on trusted supply chain partners Stulz UK and Transtherm Cooling Industries to deliver a substantial package of temperature management and plant cooling technology. 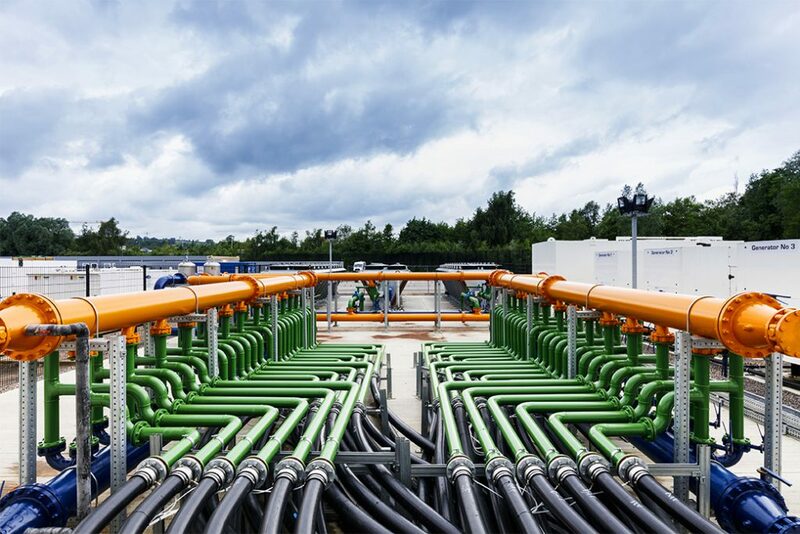 Renowned for its industry leading 16-week build-out programmes, NGD, and funding partner Infravia Capital Partners, demand not only quality systems in the construction of their sites, but product design and logistical flexibility from their supply chain partners, in order to maintain such strict project timescales. With an ultimate capacity of over 22,000 racks and 750,000 square feet, NGD’s Tier 3+ data centre is the biggest data centre in Europe and serves some of the world’s leading companies, including global telecommunications provider BT and computer manufacturer IBM. Known for providing large organisations with bespoke data halls constructed to the highest standards, NGD’s South Wales campus is one of the most efficient data centres in Europe with impressively low Power Usage Effectiveness ratings (PUE) – a data centre specific measurement of total power consumption. For this particular expansion project, NGD specified 114 data centre specific GE Hybrid Cooling Systems from leading manufacturer Stulz UK, plus a combination of 26 high performance horizontal and VEE air blast coolers and pump sets from industrial cooling technology specialist, Transtherm, to manage the inside air temperature of the new campus expansion. “Completing a build of such scale and complexity within just four months requires more than 500 construction workers to be permanently on site. To keep things moving at the right pace, suppliers are required to adjust the design and build of their products in accordance to the build schedule. 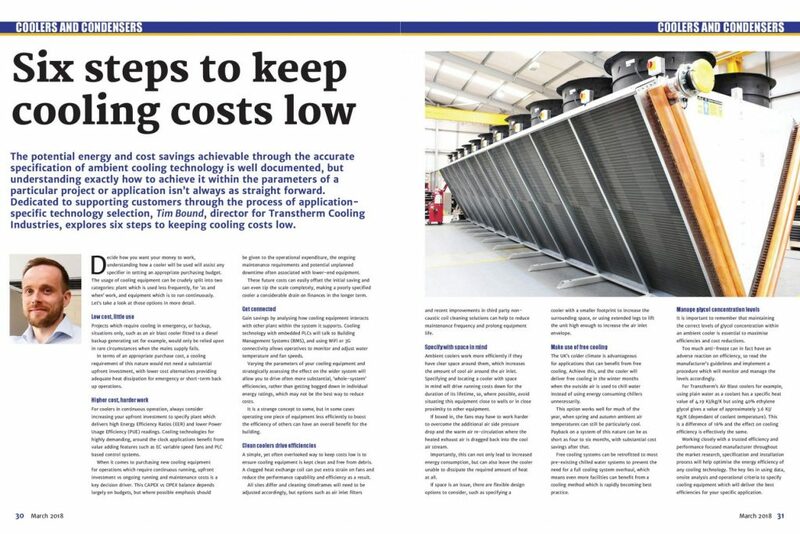 As long-term suppliers to NGD, both Stulz UK and Transtherm understood the importance of just-in-time deliveries so that the new air conditioning system did not impact the build speed on site. With a usual lead time of eight weeks for its GE Hybrid technology, Stulz UK set about devising suitable production alternations which would enable them to deliver their equipment within NGD’s rapid build programme. “Supplying a data centre superpower like NGD requires a reliable and creative supply chain solution which can not only work in tandem to deliver the most efficient product packages, but also communicate effectively to deliver products from multiple manufacturing sites ‘just-in-time’ in order to maintain their industry leading build-out times. It’s vital on projects of this size that manufacturing partners can see the bigger picture and adjust their own project parameters to suit. 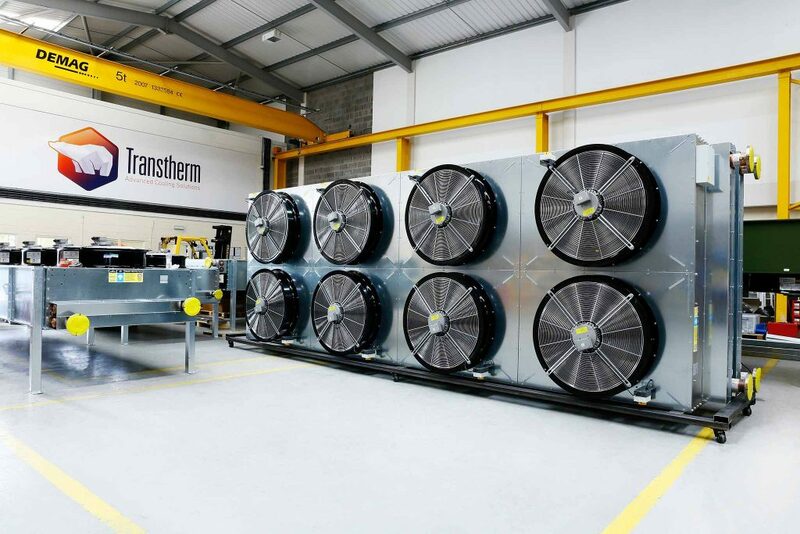 Stulz UK has specified Transtherm’s leading air blast cooling technology as part of its packaged air-conditioning solution for around 10 years. 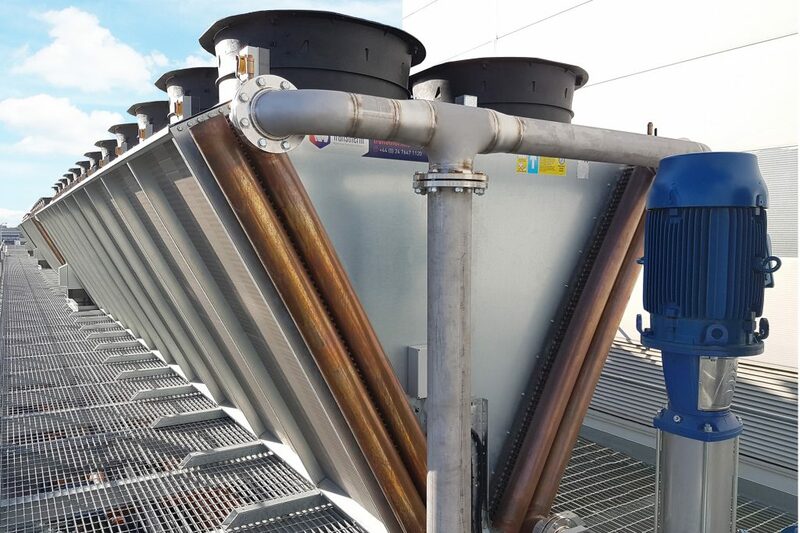 Situated around the periphery of the building and on its gantries, Transtherm’s 26 VEE air blast coolers are fitted with ERP Directive ready fans and deliver significant noise reduction when compared to other market leading alternatives, in accordance with BS EN 13487:2003.